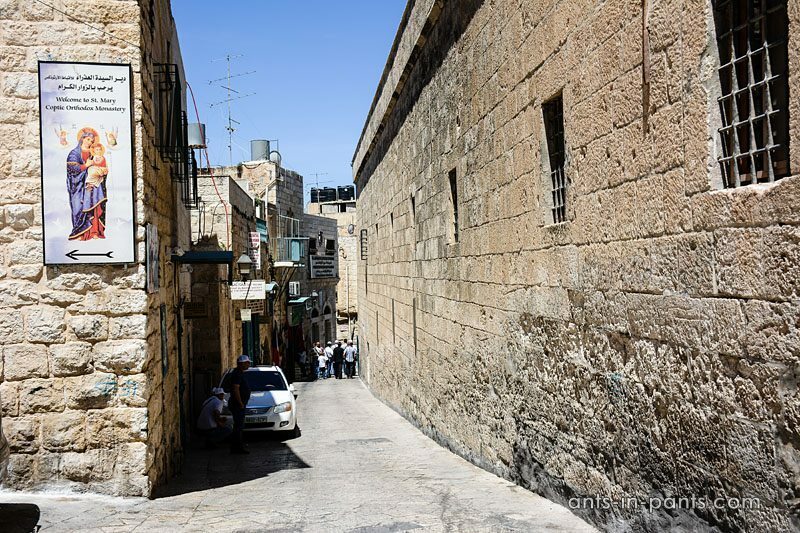 Many people are afraid of travelling to Palestine, but it did not seem dangerous to us and it has become one of our major impressions when visiting Israel. 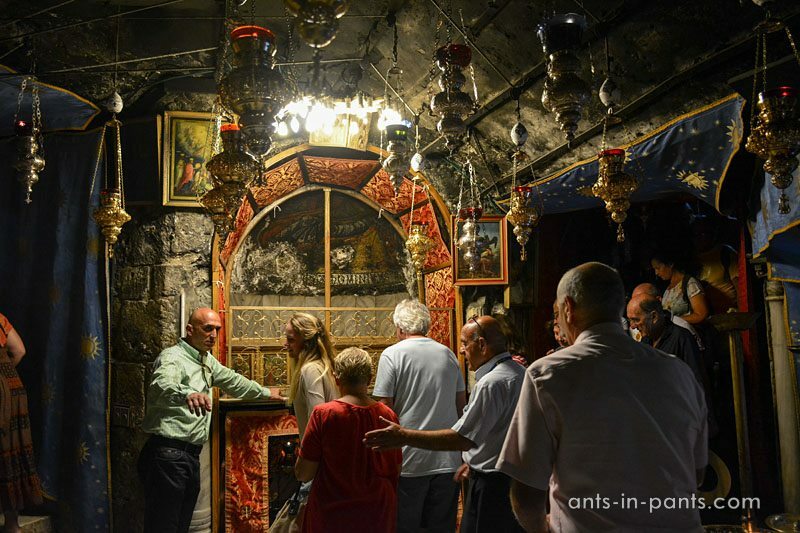 We explored one of the major Palestine destinations – the town where Jesus was born, Bethlehem. In this post, we tell how to get there and what to see. 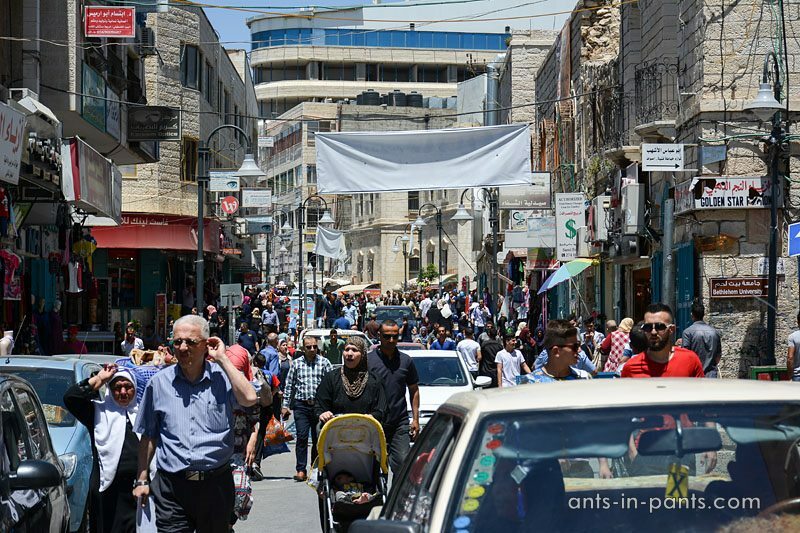 Bethlehem is an excellent destination for Sabbath, when almost everything else in Jerusalem is closed. 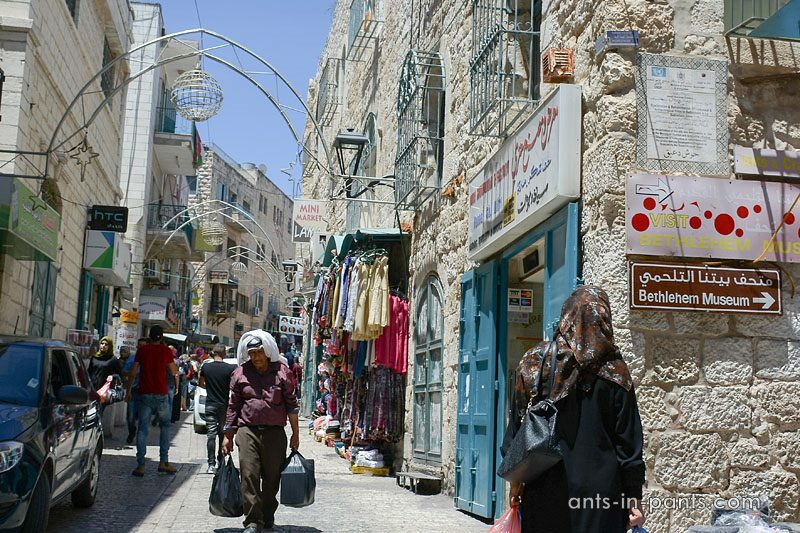 Unlike Jewish places, Arab institutions, including the bus station, work on Friday and Saturday. 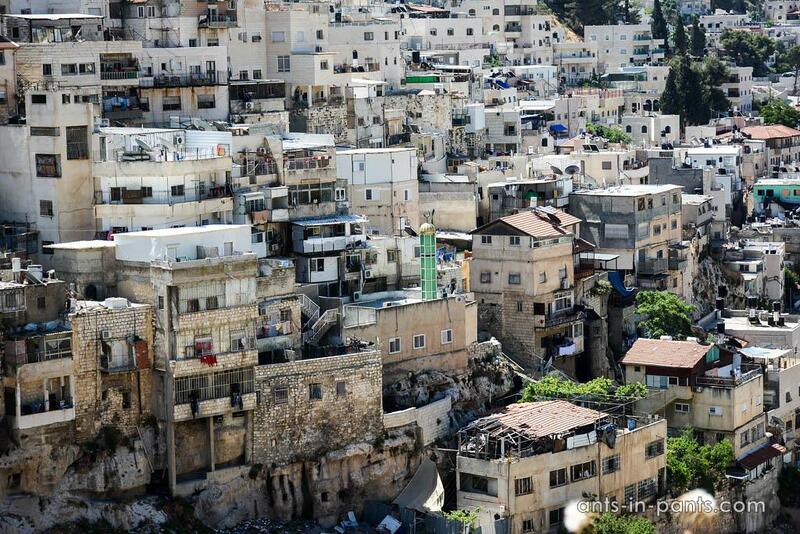 If you do not know what to do on Sabbath, getting to the Arab quarters and taking the bus to Bethlehem is one of the best options. A little while ago one had to take the vehicle to the Palestine border, pass the border, and then take the vehicle from the Palestine border to Bethlehem. 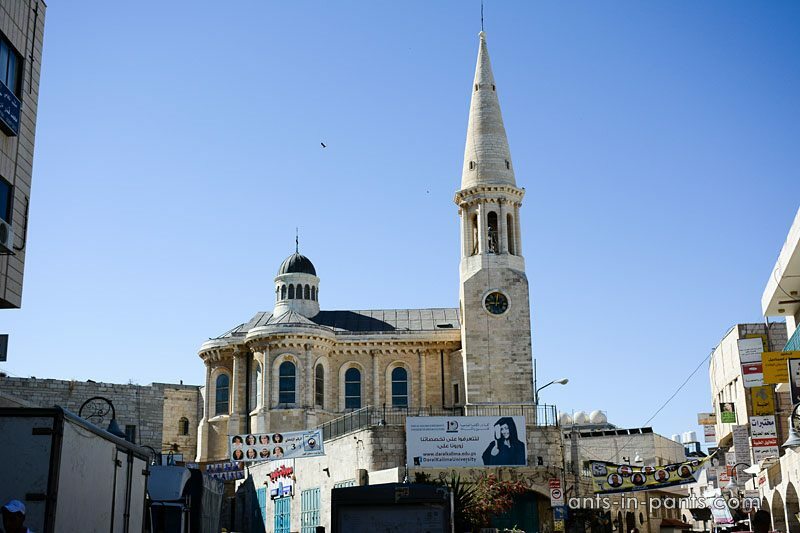 Nowadays getting to Bethlehem is extremely easy: it takes only 30-40 minutes and 6 shekels to get to the center of Bethlehem by the single bus 21. 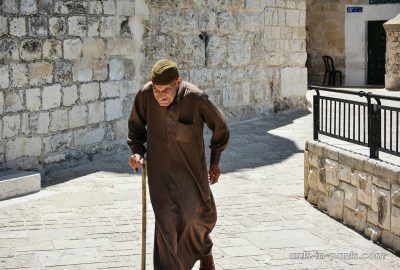 The bus departs from Damascus Gate terminal (Sultan Suliman St.) every 20-30 minutes. 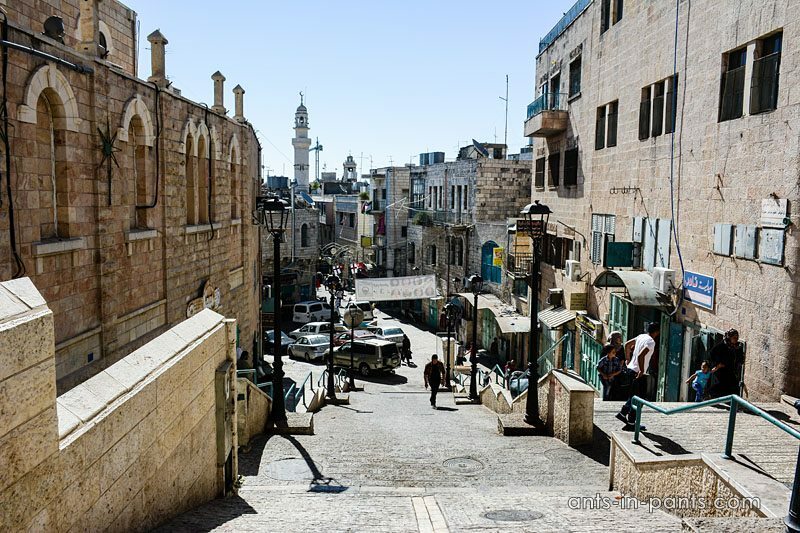 After a smooth ride you will find yourself at the old town of Bethlehem; to get to the major sights you will need to go through the Green Market which is a sight by itself. 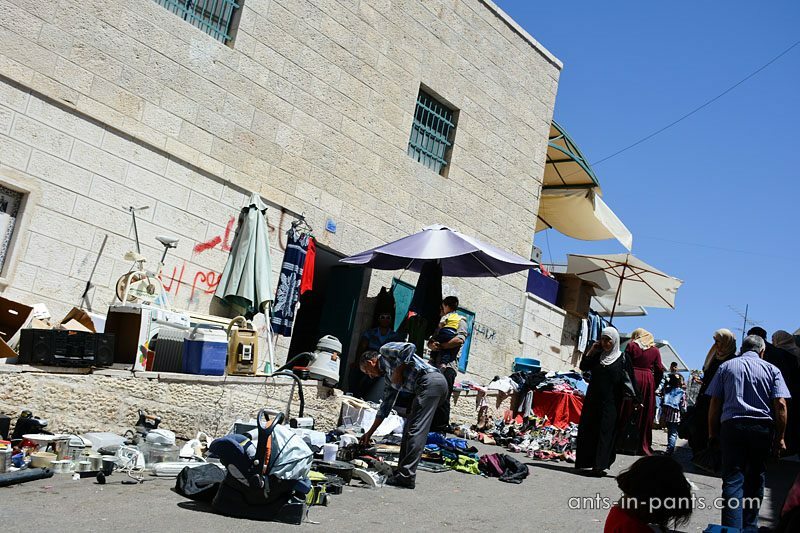 The market is very different from, for instance, Jerusalem market: it is much cheaper and seems to be much more authentic and less touristic. As in Israel, they may want to try to cheat you as this guy did to us. We really wanted to try what is in his vase and he said the price was 5 shekels per glass. 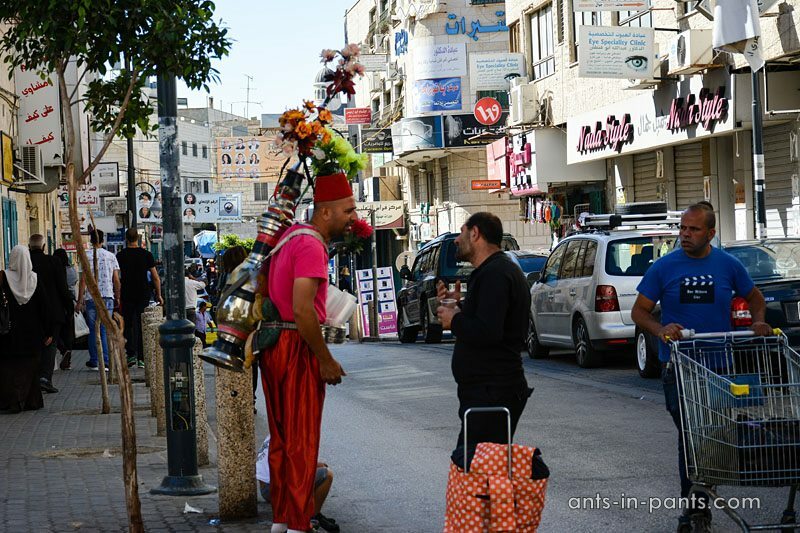 However, when the locals came up, he charged them 2 shekels. We laughed and asked why we were different, and he also laughed, returned the change to us and we made a photo. This is the difference we felt from Jerusalem: people cheat here too, but at least they are not rude with you when you notice it. 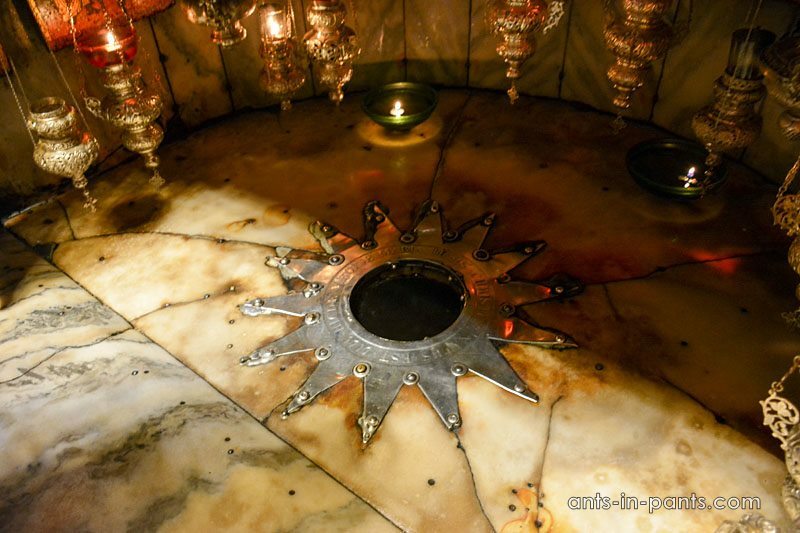 The major destination in Bethlehem, however, is the Church on the Nativity marking the place in which, it is believed, Jesus was born. To get there you will need to wait in the queue for at least one hour. Many avoid the queue by taking one of the ‘guides’ hanging around and walking the tourists through the fast track for a fee. Needless to say that these guides are illegal and it is up to you whether you want to support this cheating or not. 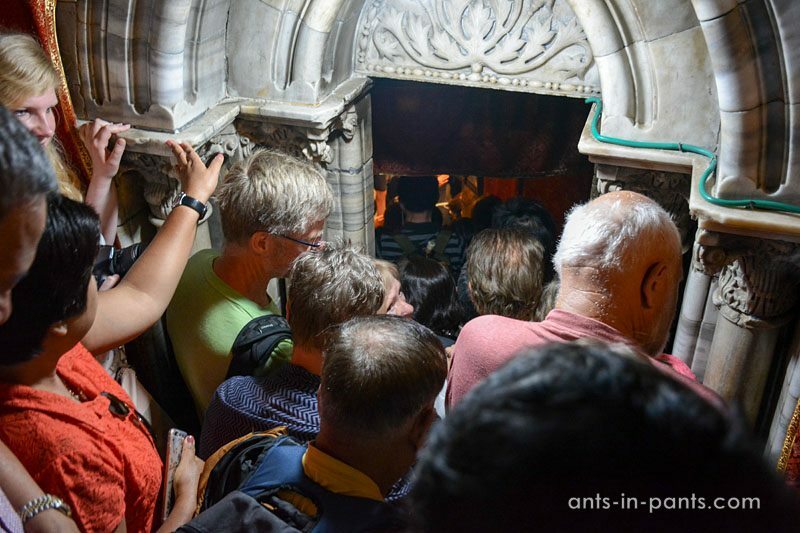 When in the queue, people argued on who was the last or the first; the closer to the Jesus’s birthplace – the hotter the arguments become. 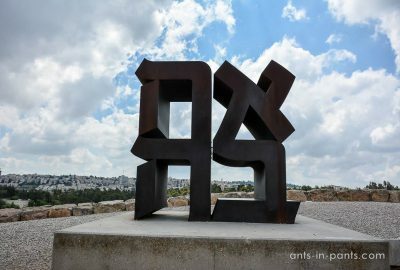 Obviously, the whole holiness of whatever is gone with this – something we noticed all over Christian religious sites in Israel. 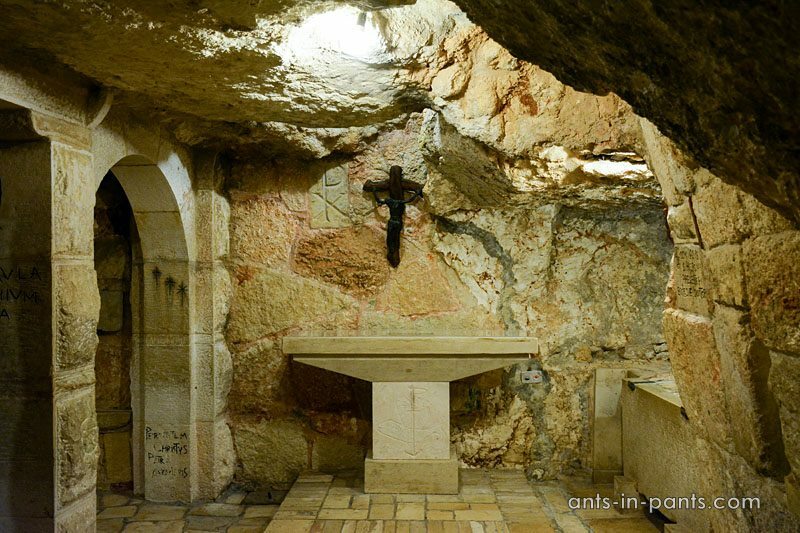 The Milk Grotto Chapel just next to the Church of the Nativity marks the place where Joseph, Mary and newborn Jesus took refuge during the slaying of the infants by King Herod’s men. 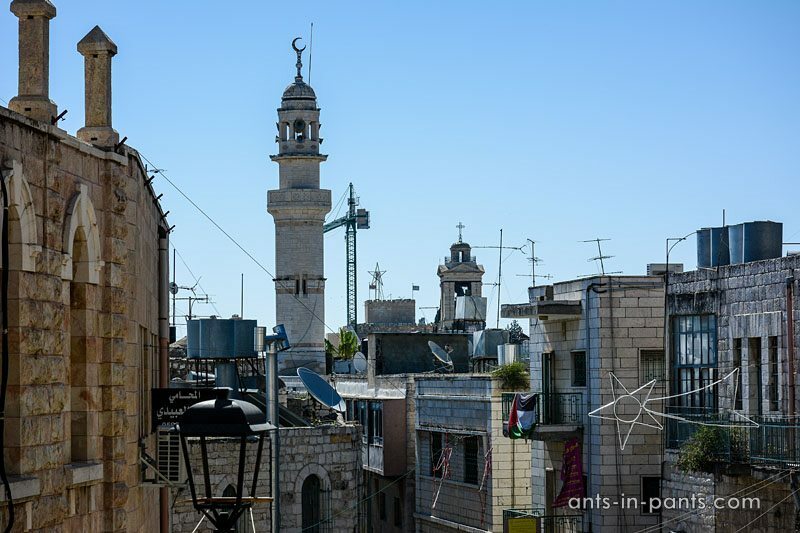 Mosque of the Omar is the only Muslim temple of worship in the old city of Bethlehem, symbolizing harmony between two religions with both Muslim and Christian shrines being placed next to each other. 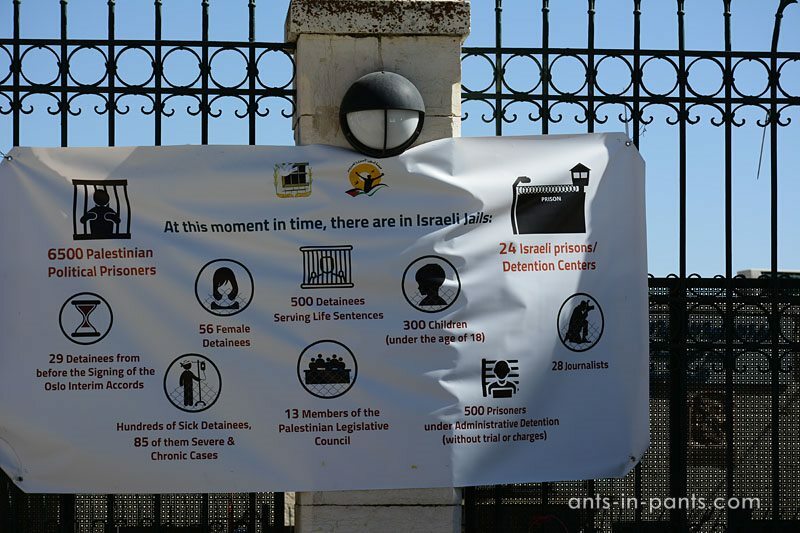 These and some other sites are situated around Manger Square constituting the tourist center of Bethlehem. 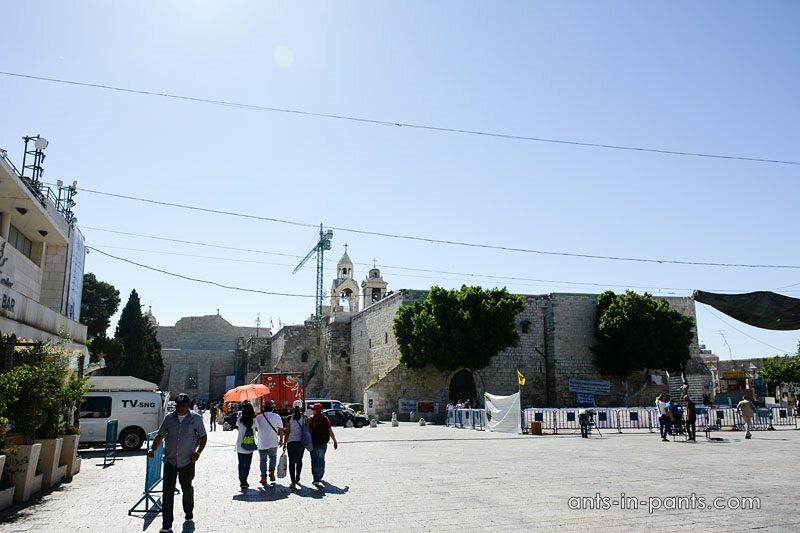 At the time of our visit, the square was also the place for protests against Israel. 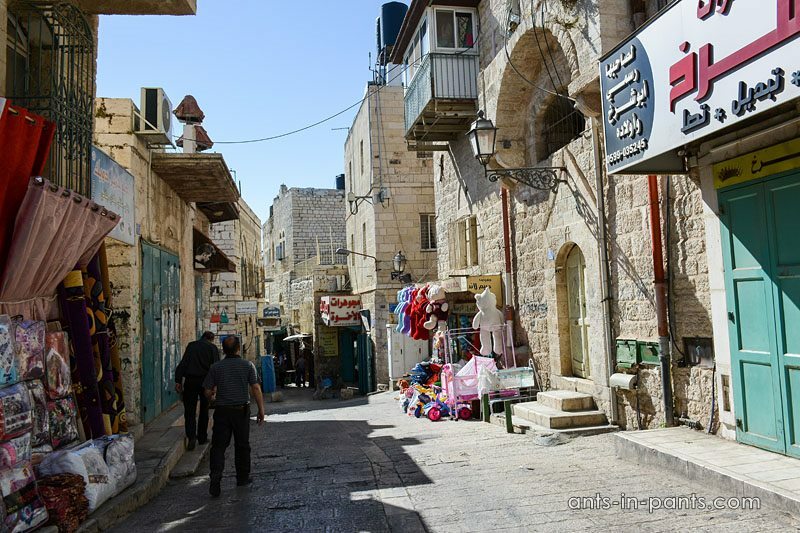 The square is surrounded by multiple souvenir shops and small curvy streets of the Old City. 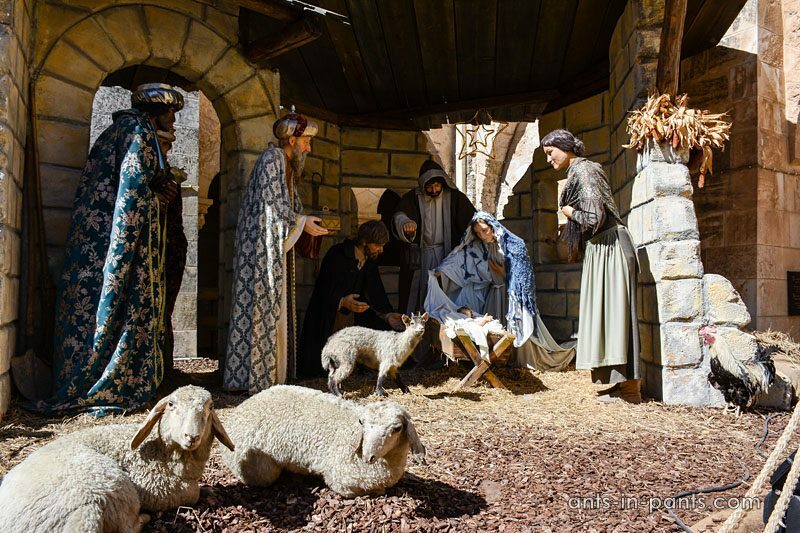 All in all, you can make the major sights of Bethlehem within 2-3 hours including lunch. 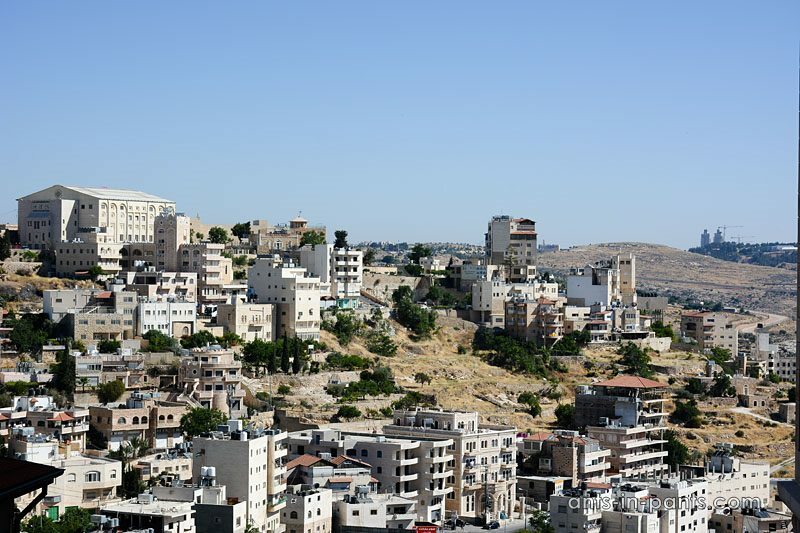 If you are more of history and religion buff, you may also visit the distant Rachel’s Tomb revered as the burial place of the Hebrew matriarch Rachel. This requires a lot of hassle, including taking a taxi, which is why we decided not to go there. 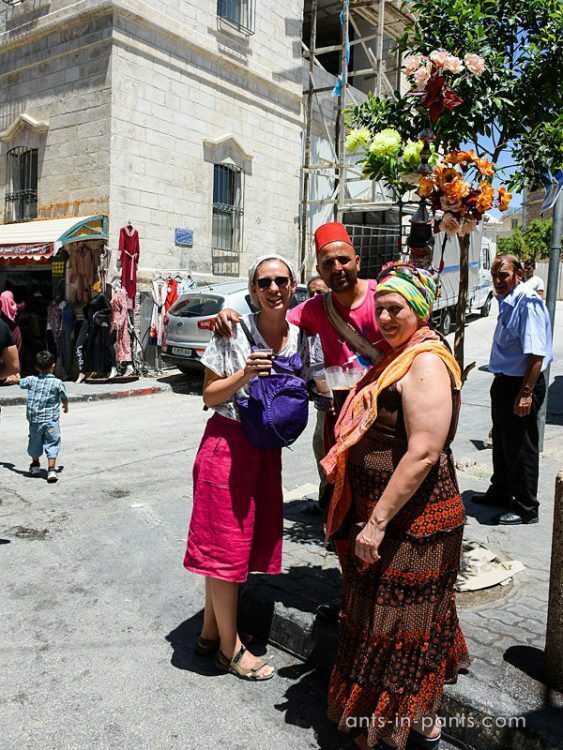 After all, rambling around the center of Bethlehem seemed much more fun!